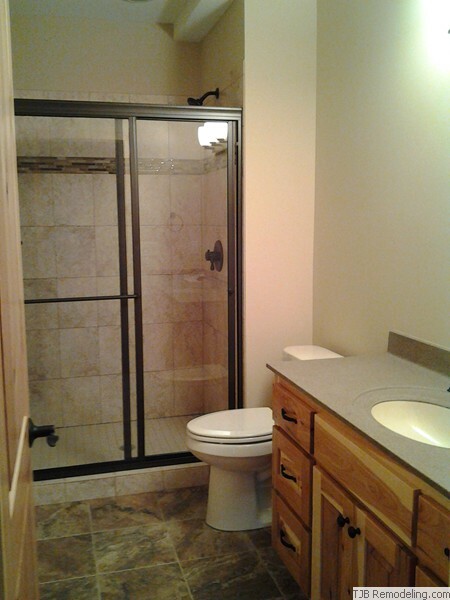 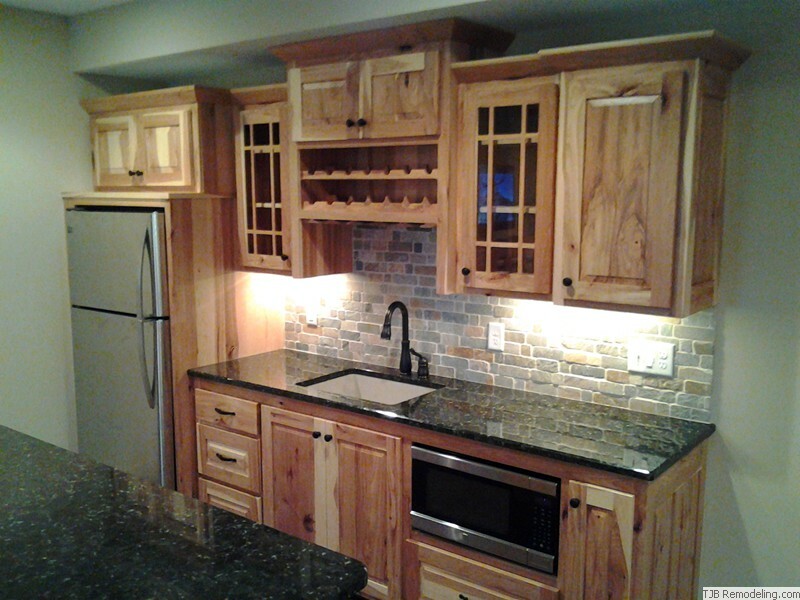 Blaine Lower Level Finish with North Woods Feel. 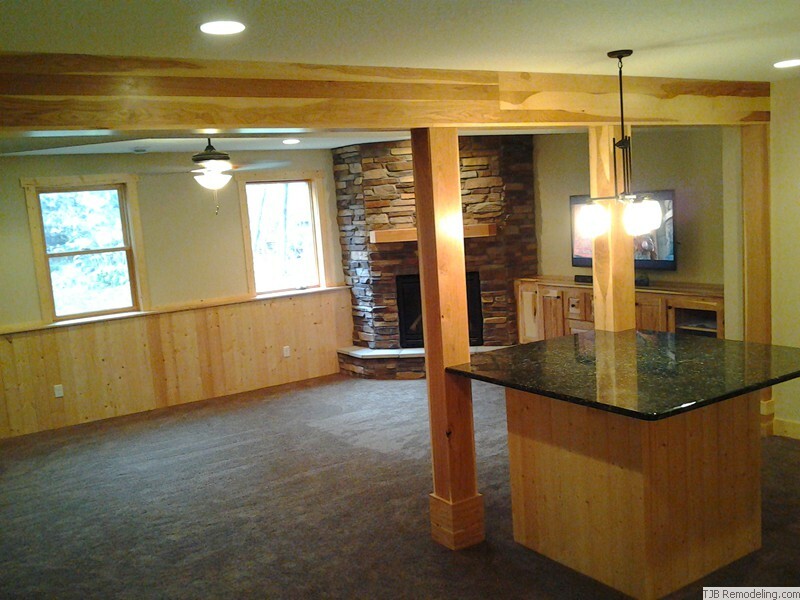 Create a finished space in the Lower Level that inspires a north woods feel, use a different wood species, texture & colors. TJB Homes, Inc. finished this lower level with the use of Knotty Hickory cabinets, posts & beams. 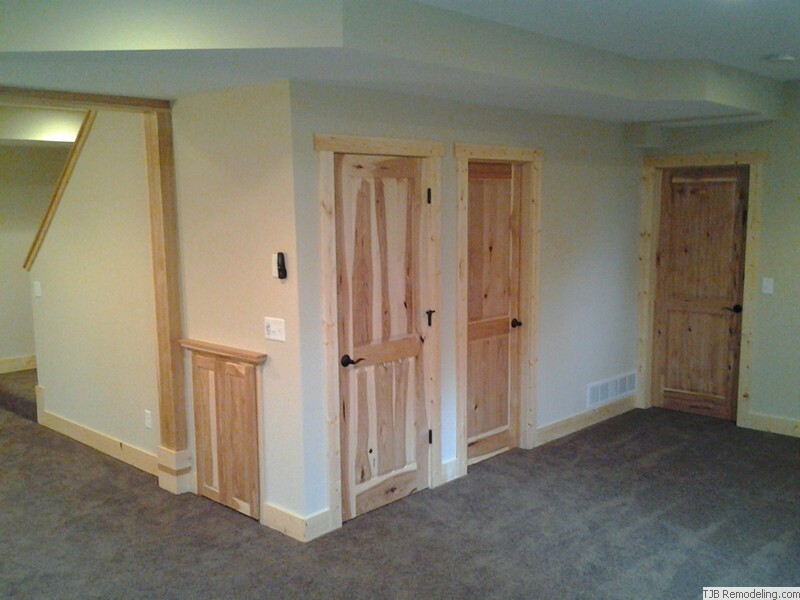 Knotty Pine walls & Custom Hickory raised panel doors, Flat stock Knotty Pine trim with header board. 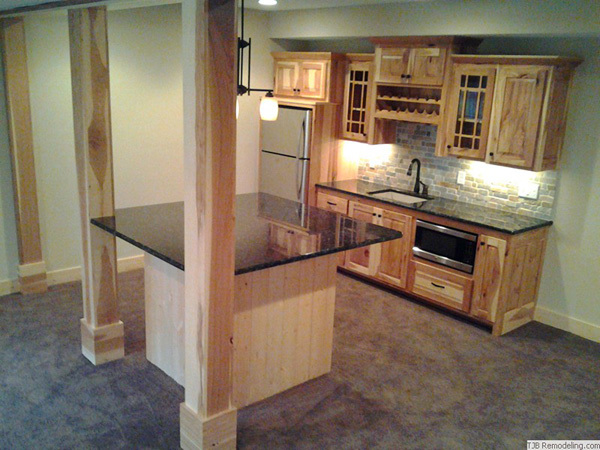 The custom built Free Standing Island is a one of a kind with knotty pine vertical panels and 62" x 62" solid granite top, with overhangs on all four sides. 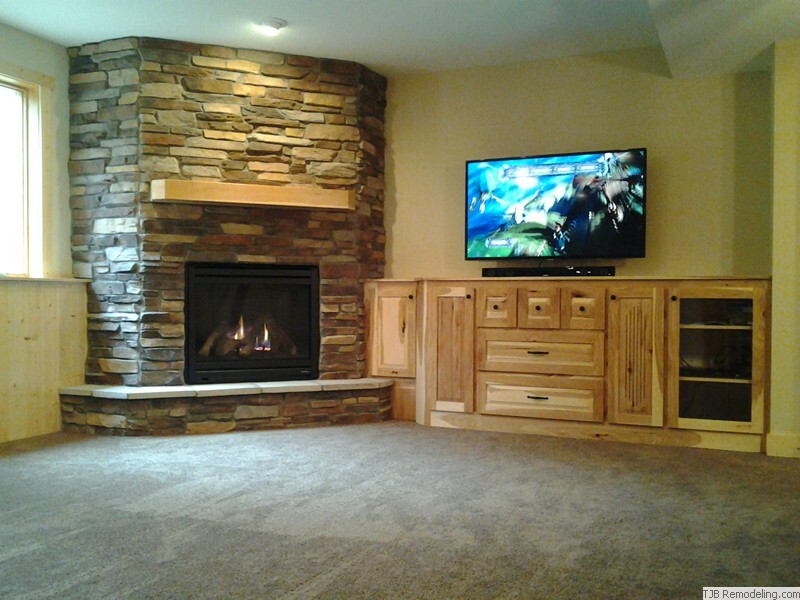 A Heat-N-Glo Stone Fireplace set in the corner adds that comfort of warmth & sets the final mood. 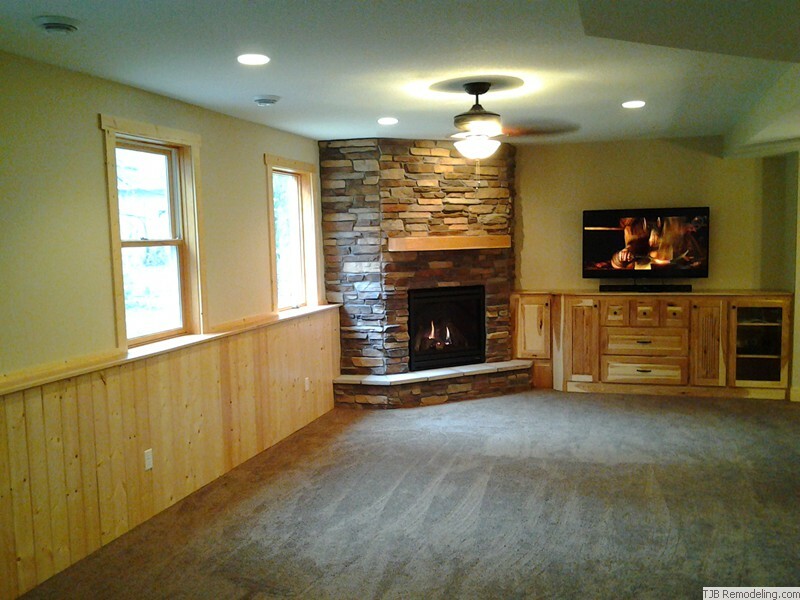 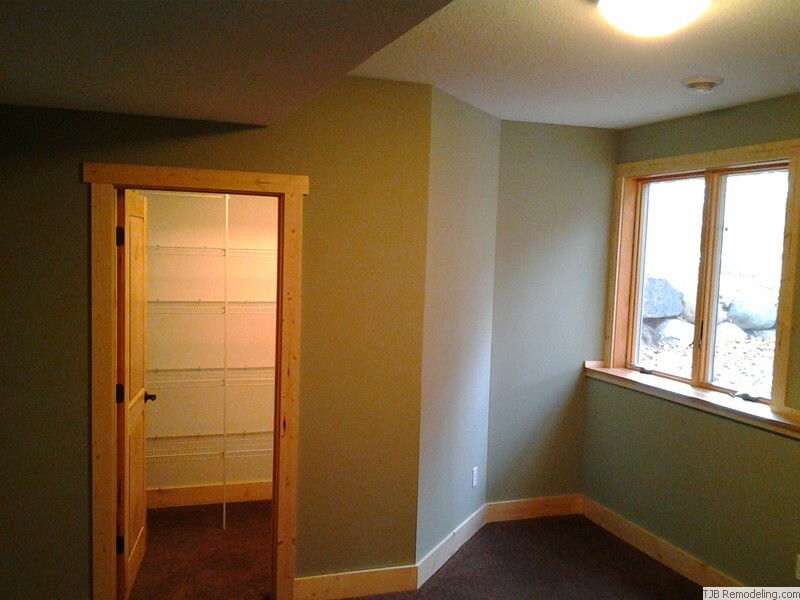 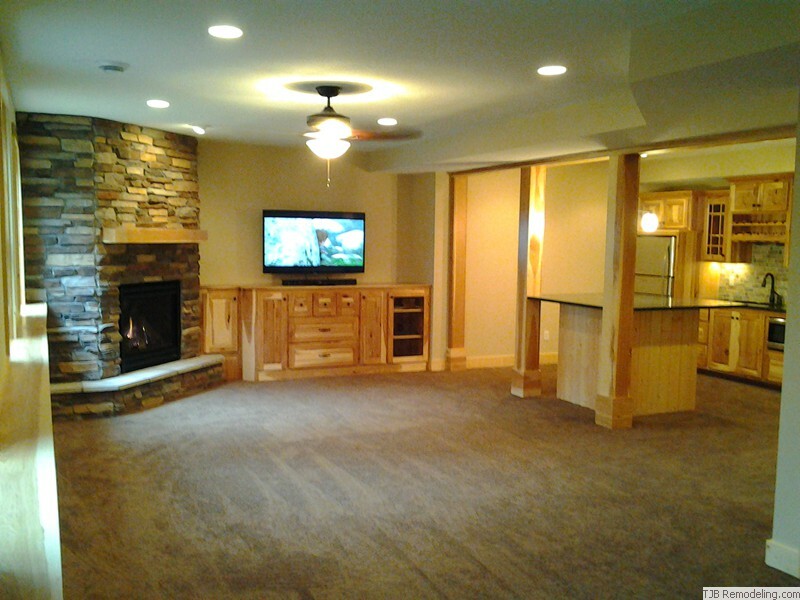 A tricked out, state-of-the-art audio/visual rec room with a North woods feel, look @ the pictures, you be the judge!!! 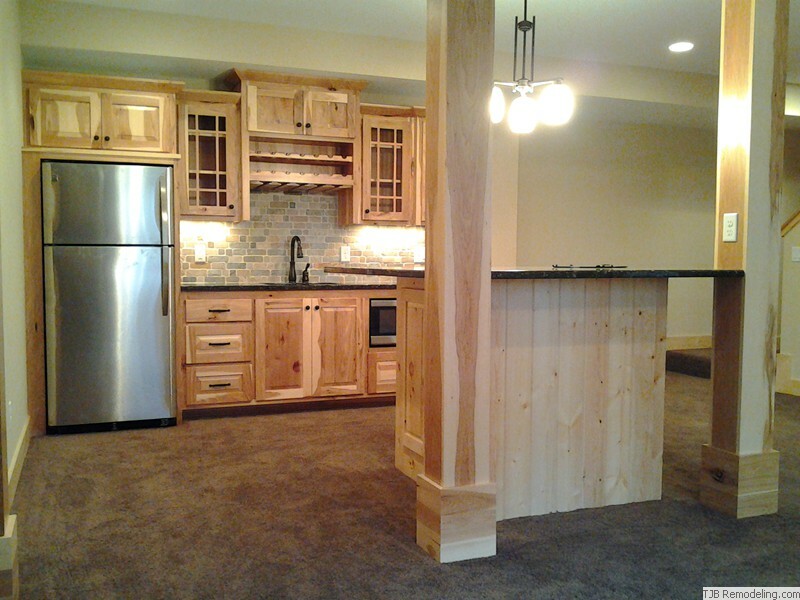 Lastly, extremely happy homeowners.